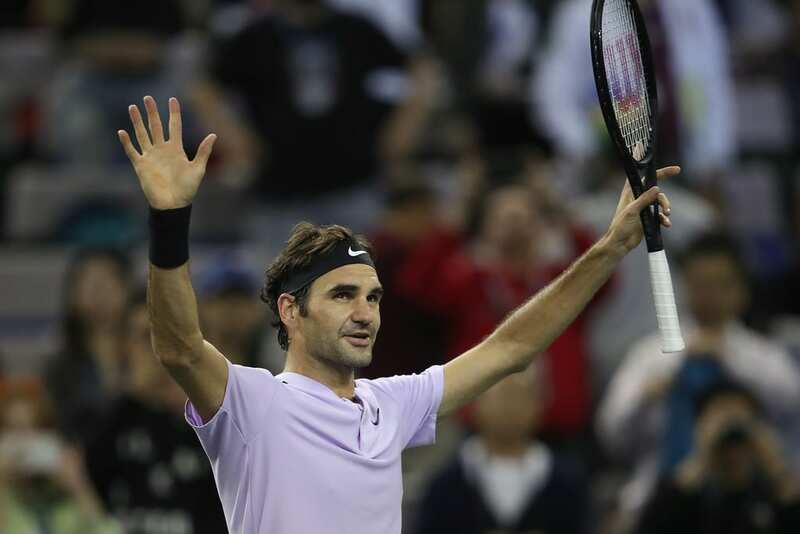 A short shift in Shanghai for the GOAT as he dispatched Alexandr Dolgopolov 6-4, 6-2 to move into the Quarter Finals. The Swiss served at 80% for the match and faced just one break point when serving for the first set en route to victory in only 1 hour. With Nadal setting down a nice marker earlier in the day by crushing Fognini, Roger responded in kind as he played super aggressive throughout, taking the ball early and giving a guy who's known for rushing his opponents absolutely no time on the ball with only seven points going over nine shots in the entire match. Dolgopolov won the toss and elected to serve. Roger started with a dream of a return for 0-15 and that set the tone as he broke to 30. A hold to 15 put him 2-0, and by the time Roger held for 3-1 we'd had four games in just 9 minutes. At 0-15 in game six Roger played a sublime point to avoid any danger, and after holding for 4-2, he fired down a 47-second love hold for 5-3. Dolgo then held for 4-5 and was able to create his first break point chance with a nice pass, but three big serves bagged Fed the set in just 27 minutes. Into set 2 and a backhand volley from the baseline helped Roger make deuce en route to holding break point but Dolgo held for 1-0. 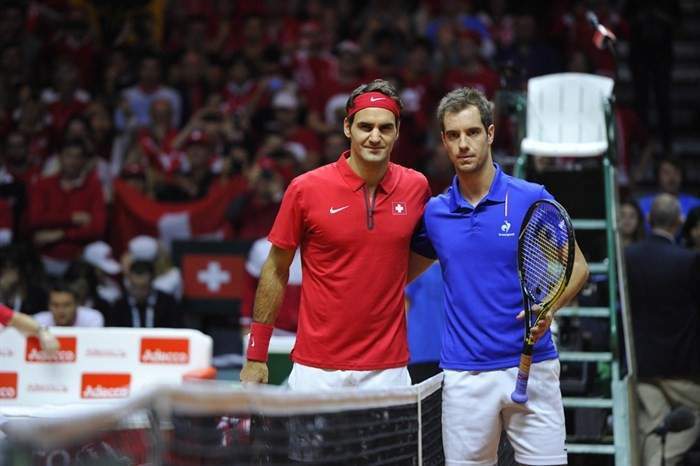 The pair then exchanged holds for 2-2 but the Swiss broke through with some more aggressive play to lead 3-2. The break was then consolidated for 4-2 and after a 19-point game he broke again thanks to a sick backhand return for a 5-2 lead. Serving it out was no issue and he did so to 15 to move into the Quarter Finals. I felt good in the first match, I must tell you. So I felt, I think, the same. I think maybe the matchup was maybe a bit easier and I took my chances more. Had a better ratio of winning on the break points that I didn't quite have against Schwartzman. That's maybe the biggest difference of both matches, so I'm happy I was able to do better today on the break points. A stylish performance here from Roger that was just plain fun to watch. Fast, attacking, all-court tennis that the crowd can't help but enjoy. 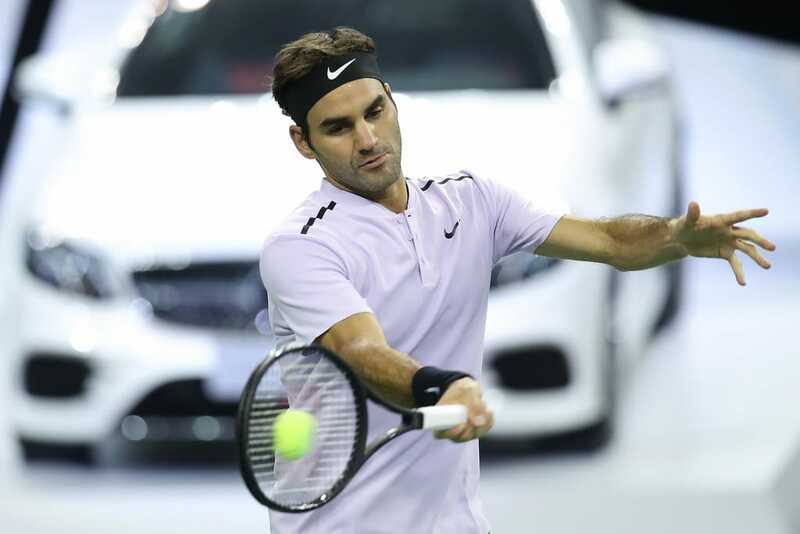 Dolgo played his part too with his flashy shotmaking, but Roger was just a step ahead of him the whole time, taking the ball super early and rolling through his service games dropping only nine points on it in the entire match. I thought after getting into a bit of a dogfight with Schwartzman we might see some signs of tiredness today given he's been out the loop for a bit but there were zero signs of that as he moved great, hitting a string of peRFect inside-out forehands that need decent footwork to pull off. Next up is Dickie Gasquet after he beat fellow countryman Gilles Simon in three sets in a typical topsy-turvy affair. Gasquet was well on course for victory when he went up a break in the second but lost the set and went down a break in the third before coming back to take it 7-5, 6-7(5), 6-3. Roger leads the H2H 15-2, and if he plays anywhere near like today, it's a foregone conclusion. Gasquet's not in any form at this level, has a terrible forehand and doesn't have the game to beat Roger. If he was high on confidence and had a great year, it could have been close, but he hasn't won a title this year on tour and had to drop down to a Challenger level a few weeks ago where he beat Florian Mayer in the Szczecin Open final. I'll pick Fed in straight sets. Very impressive performance from Roger who served imperiously, played super aggressive and produced some top drawer attacking tennis to make the Quarter Finals. Great to see the serve on point. Always funny when he manages to win more points on his second serve (percentage wise) than his first. Looks like a Fedal final guaranteed, so hope he keeps it up! Fed didn’t dance with Mickey Mouse today. But he danced in the Shanghai arena with his magic wand. Wonderful serve. Agility (his legs are running well and his back seems to be ok). Great composure. On top, his lilac shirt and forest green shorts peRFectly fit with the court and surroundings. Great photos on social media. And Fed’s Chinese fans joyfully fill up the stadium with red flags (red is a Lucky charm in the Chinese culture). Next, my fellow countryman Richard Gasquet … another “old” man aged 31 … who has to get ready for the Davis Cup final against Belgium. Davis Cup is weeks away, he’s got to try get his ranking back up before that! Movement looks absolutely top notch out there. If he moves well and serves well (which he did), that’s usually a sign our Roger is hitting top gear. Roger display an outstanding game today. He looked confident, relaxed and he enjoyed himself. A pleasure to watch! Fast courts and Federer’s forehand go together like PB and J. His best match since Wimbledon for sure, if we’re not counting Laver Cup. The outfit looks pretty good too. Does peanut butter and jelly go together well? Never tried it! “A stylish performance” – indeed! It was a fun match to watch with the super quick pace and a plenty of swanky shots from both guys, wow loved it. When Fed has a good serving day everything follows. 47sec game again 😀 Didn’t he do to Novak in Shanghai a few years ago? I think so actually, he’s done too many 1 minute specials though in his career. Even had a set of twins off the back of one of them. Which of Fed’s shots is your favourite? Nice, had not seen. Backhand smashes always the best to watch.